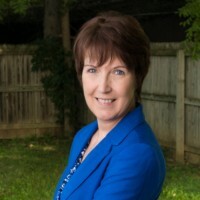 KAREL MINOR, Chief Executive Officer: Karel is the President & CEO of Humane Pennsylvania, Pennsylvania’s largest network of animal welfare organizations and non-profit veterinary hospitals. Karel has over twenty years of professional experience in the animal welfare sector. He has brought his skills in non-profit management and organization transformation to numerous animal welfare and environmental organizations. He has served in a wide variety of positions ranging from executive leadership to operations, education, and fundraising and development. Minor served as past president of the board of the Pennsylvania State Animal Response Team, past member of Humane Society of the United States’ Companion Animal Advisory Committee, currently serves as a board member of Federated Humane Societies of Pennsylvania, and other state and national committees and advisory boards. Minor is a regular presenter and trainer at state, regional, and national animal welfare conferences. 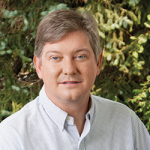 In addition to his role at Humane PA, Karel is Executive Director of the Humane Pennsylvania Foundation and CEO of Animal Welfare Management Services, llc., Humane PA’s national consulting company. Karel holds a Bachelor’s degree in Earth/Space Science from West Chester University of Pennsylvania, is married to a brilliant educational administrator and has three equally brilliant and beautiful daughters. 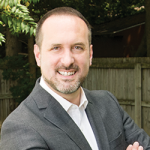 DAMON MARCH, Chief Operating Officer: For more than twenty years, Damon March has specialized in animal welfare and non-profit corporate operations. He has been responsible for the oversight, management, and transformational improvement of several animal welfare organizations. March is an expert in executing successful start-up or turnaround operations plans and is skilled at rapidly bridging the gap between the current capabilities and aspirations of any organization. Damon is a recognized expert in Euthanasia by Injection training, authorized and accredited by the Humane Society of the United States, and has presented nationally on animal welfare issues. MICHAEL BACH, Chief Financial Officer: Mike obtained his Chartered Accountant from England (the English equivalent of a CPA and MBA) in 1979. He has more than 18 years of demonstrated history working in a variety of industries and brings to Humane Pennsylvania a strong finance background in financial reporting, budgeting and forecasting, cash management, insurance, strategic planning, and accounting department management and administration. 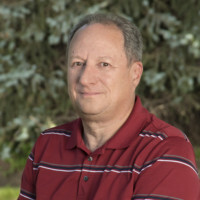 Mike aspires to improve the financial reporting and other IT systems within the organization; to strengthen its relationship with outside business partners; and to ensure that the organization is financially able to achieve its vision of enhancing and continually improving animal welfare services to the communities it serves. Mike and his wife of 28 years, are involved in the Tri-State Basset Hound Rescue and have adopted an 8-year-old rescue named Stanford, as well as an 11-year-old cat called Spooky. 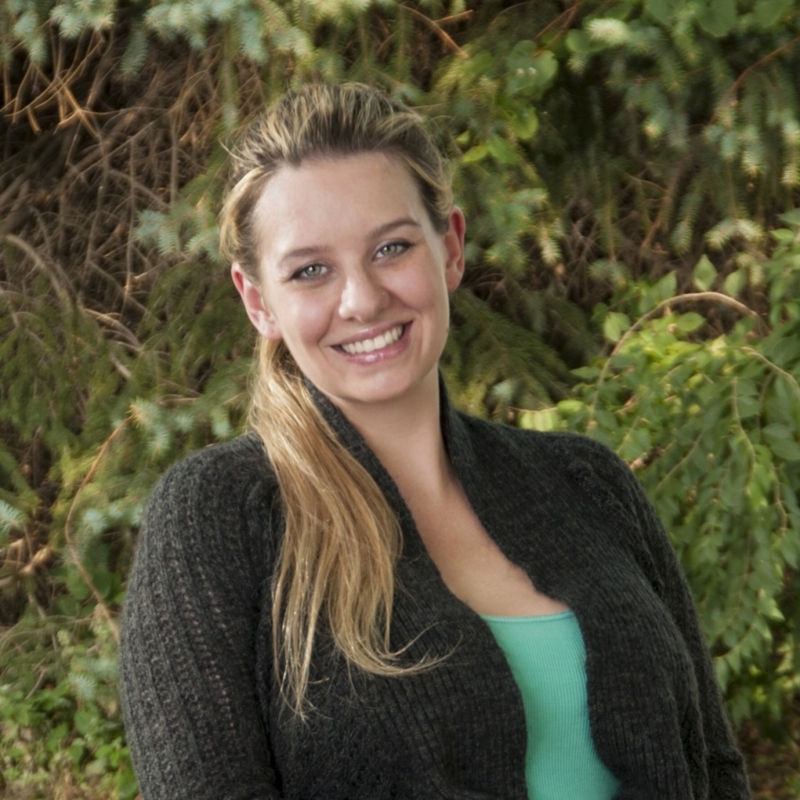 DR. ALICIA SIMONEAU, Chief Veterinary Officer: Dr. Simoneau is a graduate of Western University of Health Sciences in Southern California. She attended Delaware Valley College in Doylestown, PA where she attained a BS in Biology before veterinary school. Her special interests include holistic and integrative medicine, spay/neuter surgeries and nutrition. She practices classical homeopathy and will be certified to perform acupuncture on dogs, cats and horses. She adores the three rescued Siamese/DSH cats and two adopted Thoroughbred horses. 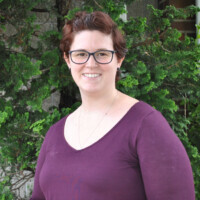 LEANN QUIRE, Director of Shelter Operations: Leann graduated from York College of Pennsylvania in 2011 where she obtained a bachelor’s degree in Biological Sciences. 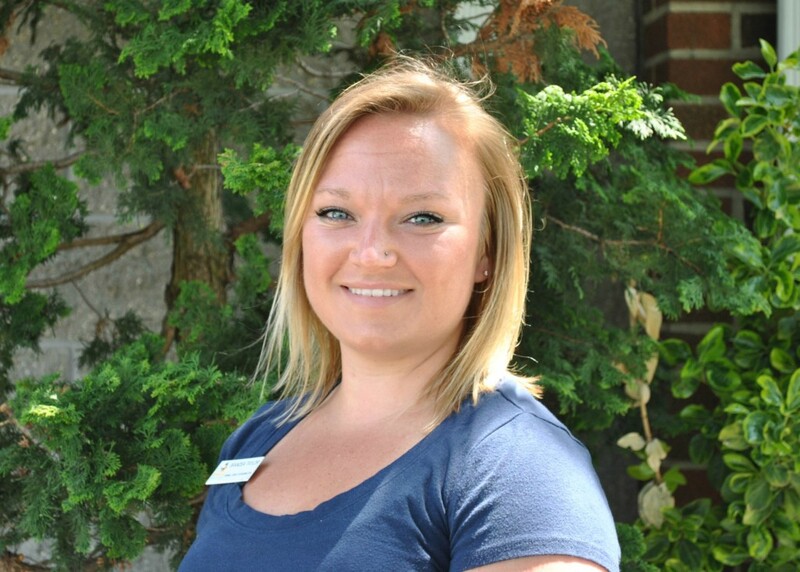 Leann started her career in animal welfare in 2006 while volunteering with The Humane Society of Berks County. She has worked for The Humane Society of Berks County for over 10 years. 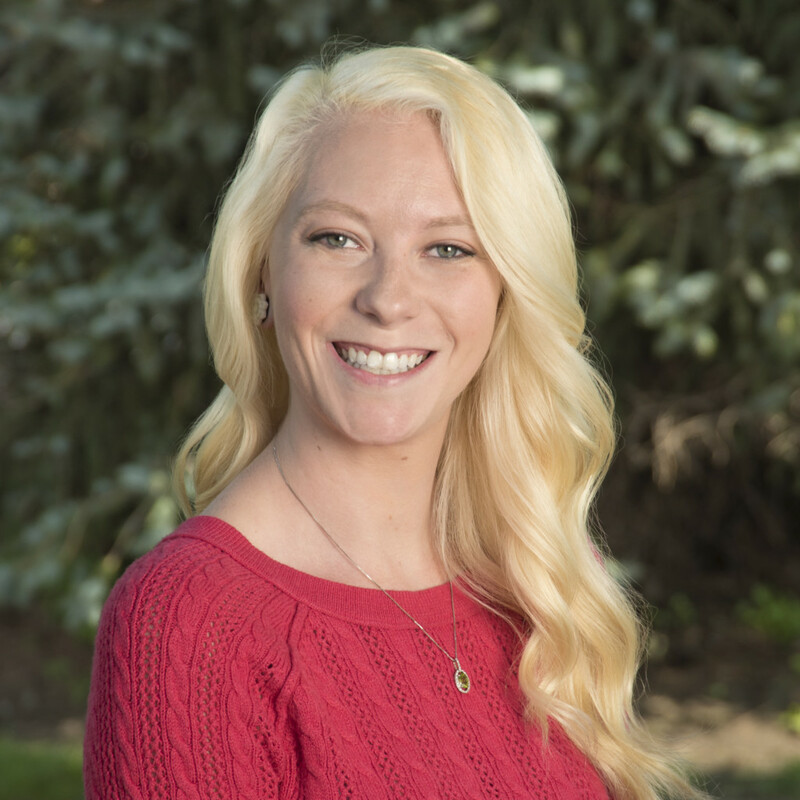 Most recently, Leann was promoted to run the overall operations for both The Humane Society of Berks County and The Humane League of Lancaster County. 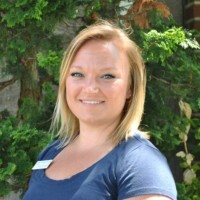 Leann utilizes her knowledge in animal science and experience in animal welfare to promote and oversee exceptional care for the animals while they are in the shelter. She hopes to continue to build relationships within the community to promote a better understanding of animal education and lifesaving efforts. Leann shares her home in Antietam with her husband and her adopted family: a Pug/Corgi Mix named Moose; an English Bulldog named Stella; and two cats, Stassi and Rue. LISA MALKIN, Director of Hospital Administration: Lisa graduated from Mercer County School of Nursing in 1985 and worked in human nursing in the fields of geriatrics, oncology and pediatrics before making the jump to veterinary medicine in 2000. She has worked as a veterinary nurse in Oncology, emergency and general practice. Lisa has experience in hospital management in both corporate and private sectors. 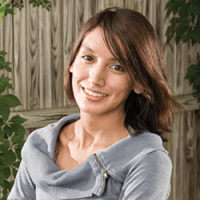 She shares her home with her husband, daughters, and her adopted family; a pit bull named Bindi Sue and five cats; Mojo, Frostbite, Majik, Ashes and Bo. 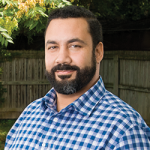 BRIAN PINTO, MPA, CFRE, Director of Special Projects: Brian has over 15 years of non-profit management experience in healthcare, higher education and social services where he has specialized in planning and managing development, marketing and volunteer programs. In his role at Humane Pennsylvania, Brian is responsible for building the annual giving, major gift, and planned giving programs; has oversight over the organization’s marketing, public relations and communication efforts; and is charged with building a robust volunteer program to enhance Humane Pennsylvania’s fundraising efforts. Brian received his BA in English from Rowan State College and his master’s degree in public administration from DeVry University. He is also a certified fundraising executive (CFRE), having received his initial certification in 2012 and re-certification in 2015. Brian currently serves as President of the Association of Fundraising Professionals Berks Regional Chapter. In his spare time, Brian enjoys spending time with his 2 sons (beagles), Nemo and Buddy. 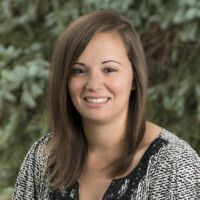 LINDSAY HIGH, Director of Marketing: Lindsay has made a career in marketing and communications through cultivating relationships with some of the region’s most influential leaders. With over ten years of community benefit marketing experience, she brings an inventive approach to marketing and branding strategies for our organization. As an involved member of the Lancaster County community, Lindsay has served on a variety of community benefit committees and boards. 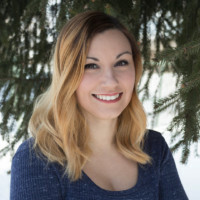 As a passionate contributor to community initiatives, she is always eager to apply her experiences with creating meaningful marketing solutions to all of her projects. In the prolific words of Helen Keller, “Life is either a great adventure or nothing.” She strives to bring this tenacity to her work and each intentional engagement. Lindsay lives in Lancaster with her hubby Andy and their adopted pit bull, Lola. When she’s not snuggling the dogs in our shelters and trying to convince her husband they need another pup, you’ll find her at community events throughout Lancaster. LAUREN HENDERSON, Director of Events & Corporate Relations: Lauren has been an invaluable member of the Humane Pennsylvania team for over two years. 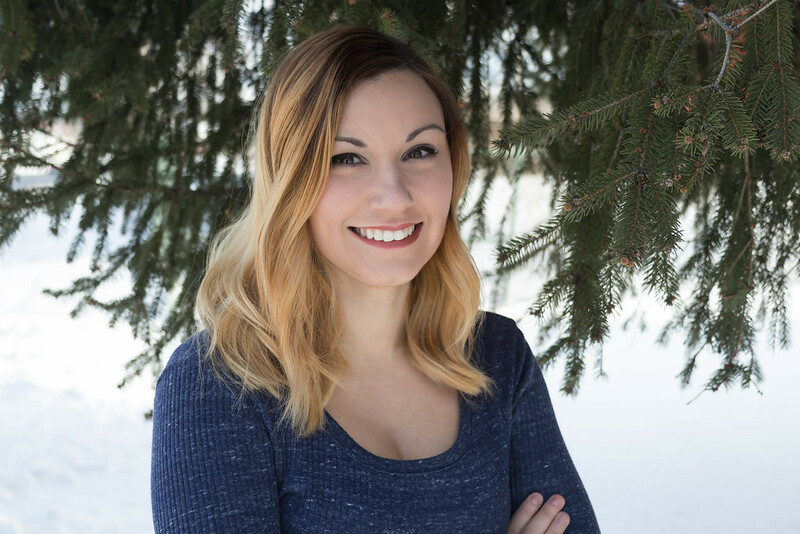 As a graduate of Penn State University and along with receiving her Principles of Fundraising Certification from Villanova University, Lauren applies her depth of event development experience to create meaningful donor engagements throughout both Lancaster and Berks Counties. 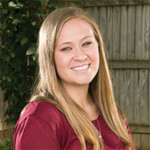 With a focus on continuously evolving her skills, Lauren is an active member of the Association of Fundraising Professionals, (AFP), Berks County. On warm weather days, you’ll find Lauren in the stands of the Reading Fightin’ Phils and at other local sporting events. As our resident sports enthusiast, Lauren also helps her dad at his sport’s memorabilia shop, Carl’s Cards & Collectibles. Lauren has a sweet spot for German Shepherd and is always the first to know when there is one of these furry pups in the shelters. The Board of Directors of Humane Pennsylvania represents a broad cross section of the community and provides the organization with a wide variety of skills and expertise. The Board of Humane Pennsylvania provides organizational and fiscal oversight and guidance and works with the professional staff to ensure adherence to and direction of Humane Pennsylvania’s mission. Our Board mem­bers are elected com­mu­nity vol­un­teers who donate their var­i­ous areas of exper­tise and end­less amounts of time to gov­ern the poli­cies and finances of the organization. Through their guid­ance we have an appre­ci­a­tion of the community’s heart and voice. Their sole moti­va­tion is con­cern for the shel­ter and the ani­mals we serve, and we thank them for their dedication. Correspondence with the Board of Directors can be forwarded to the attention of the Board of Directors via mail to Humane Pennsylvania, 1729 N. 11th Street Reading, PA 19604 or via e-mail to kminor@humanepa.org. Carolyn Chenworth – Project Scheduler, J.F. Kiely Service Co.